As the end of the year is drawing near, I thought I’d do a post sharing some of the anchor charts we’ve created throughout the year. Now, I’ll be perfectly honest and say my creative skills are lacking. I make these with my students, and so my handwriting is often sloppy as I’m quickly writing, and there are a few authentic mistakes. But that’s what makes them real and useful in our rooms. I also thought it’d be fun to see other anchor charts from teachers. 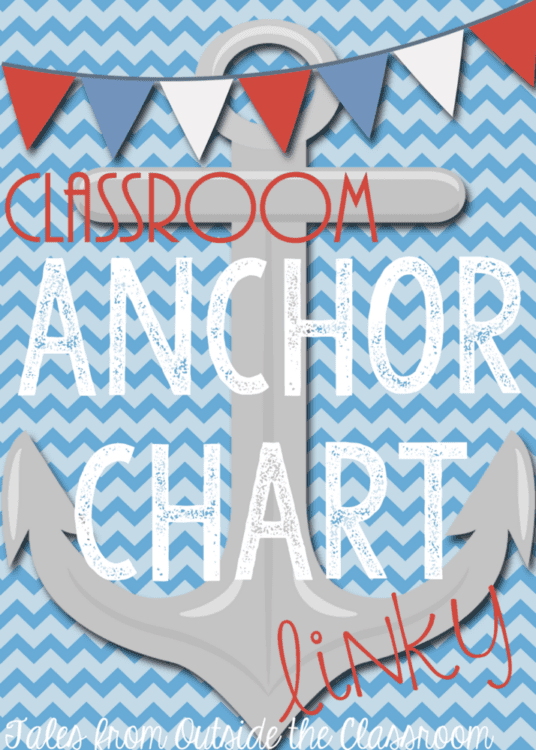 So if you’d like to share some of your anchor charts, just link up below. Here’s a collection of my math anchor charts. I kept this post basically wordless as the anchors speak for themselves. My kids had the hardest time with subtraction with regrouping this year. We tried strategy after strategy. We tried Bigger, Bottom, Borrow. I still have a group that likes to pretend they can take 9 away from 4. This HOT strategy was one I came up with to try and help them. Link up below! I’d love to see the anchors from your room! Thanks for hosting the link-up! I love your subtraction one. Oh . . . I meant to ask, but how do you get the Facebook popup on the right hand side? Here's a link to the tutorial. Thanks for linking up! I love your counting on chart, Tessa! Pinned and saved! Thank you for hosting this. I always love to find new ideas for math! You have to teach elapsed time! Bless your heart! That skill is sooo tough! Thanks for the linky! I love that your students have input into creating your charts!